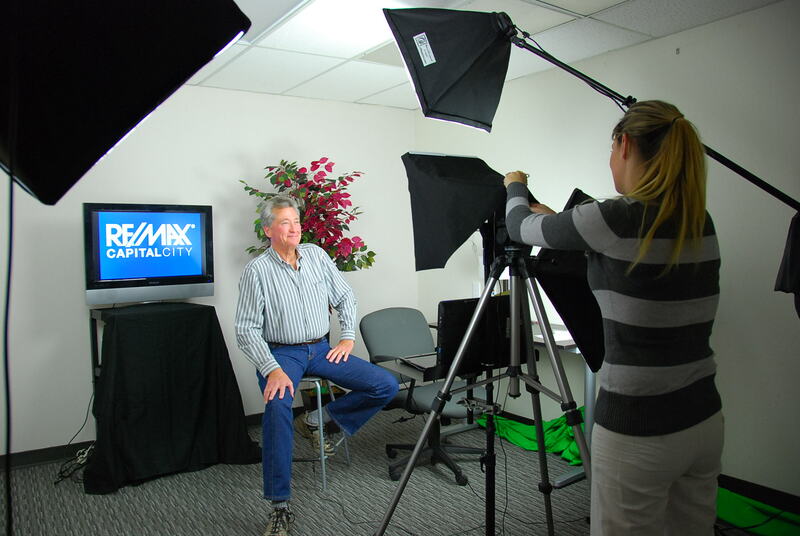 RE/MAX Capital City is excited to announce it’s full service video studio located in our Austin, Texas office. It’s as easy as 1, 2, 3 for our agents to schedule an appointment at our studio and in 20-30 minutes leave with a professional video. They in turn, can use the video to promote their buiness on Twitter, You Tube, Facebook, blogs and even their own website. RE/MAX Capital City has a teleprompter that is simple to read from with pre-written scripts for our agents. If an agent has something specific to discuss on their video, they can bring in there own script and we can download it instantly to our computer teleprompter. Why are we so excited? Why did we make this available to our agents? Because we know how important online videos are becoming. As people move from viewing static web pages and images on the Internet and start viewing more videos and interacting with each other on social media websites such as Twitter, search engines are following our activity. Google and other engines are watching what we do online and looking for indicators that show that certain websites are more popular and more related to certain keyword phrases. They’re looking for indicators that one website has more “quality” than another. Taking the time to produce a video about your product will ultimately help your website’s visitors. And anything that engages your website visitors more, whatever will help them stay on your website longer, will ultimately help your search engine optimization. *Check out our You Tube channel and see for yourself what RE/MAX Capital City is offering agents and assisting in their success. *Also,we have included a video from one of our agents. We think she should win an Oscar!